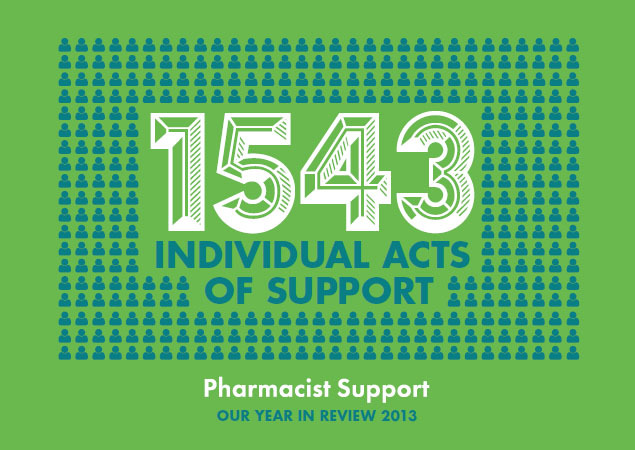 2013 was a year of development for Pharmacist Support. We researched, trialled and evaluated three new services, developed a new, more user friendly and mobile accessible website (hosting an ever expanding range of information and support) and launched our very first e-newsletter. Continuing with our web theme, we opted to present this year’s review of our activities online, through a series of slides. Click here to see what we’ve been up to!